In the lead up to the next meeting of the CCW’s Group of Governmental Experts at the United Nations April 9-13th in Geneva, the UN’s Institute for Disarmament Research has issued a briefing paper titled The Weaponization of Increasingly Autonomous Technologies: Artificial Intelligence. Designated a primer for CCW delegates, the paper lists no authors, but a special acknowledgement to Paul Scharre, Senior Fellow and Director of the Technology and National Security Program at the Center for a New American Security, suggests that the viewpoints of the Washington, D.C.-based CNAS are well represented. Although AlphaGo Zero does not have direct military applications, it suggests that current AI technology can be used to solve narrowly defined problems provided that there is a clear goal, the environment is sufficiently constrained, and interactions can be simulated so that computers can learn over time (p.1). The requirements listed – a clear (read computationally specifiable) goal, within a constrained environment that can be effectively simulated – might be underscored as cautionary qualifications on claims for AI’s applicability to military operations. The tone of these opening paragraphs suggests, however, that these developments are game-changers for the GGE debate. The paper’s first section, titled ‘What is artificial intelligence,’ opens with the tautological statement that “Artificial intelligence is the field of study devoted to making machines intelligent” (p. 2). A more demystifying description might say, for example, that AI is the field of study devoted to developing computational technologies that automate aspects of human activity conventionally understood to require intelligence. While the authors observe that as systems become more established they shift from characterizations of “intelligence” to more mundane designations like “automation” or “computation,” they suggest that rather than the result of demystification this is itself somehow an effect of the field’s advancement. One implication of this logic is that the ever-receding horizon of machine intelligence should be understood not as a marker of the technology’s limits, but of its success. We begin to get a more concrete sense of the field in the section titled ‘Machine learning,’ which outlines the latter’s various forms. Even here, however, issues central to the deliberations of the GGE are passed over. For example, in the statement that “[r]ather than follow a proscribed [sic] set of if–then rules for how to behave in a given situation, learning machines are given a goal to optimize – for example, winning at the game of chess” (p. 2) the example is not chosen at random, but rather is illustrative of the unstated requirement that the ‘goal’ be computationally specifiable. The authors do helpfully explain that “[s]upervised learning is a machine learning technique that makes use of labelled training data” (my emphasis, p. 3), but the contrast with “unsupervised learning,” or “learning from unlabelled data based on the identification of patterns” fails to emphasize the role of the human in assessing the relevance and significance of patterns identified. In the case of reinforcement learning “in which an agent learns by interacting with its environment,” the (unmarked) examples are again from strategy games in which, implicitly, the range of agent/environment interactions are sufficiently constrained. And finally, the section on ‘Deep learning’ helpfully emphasizes that so called neural networks rely either on very large data sets and extensive labours of human classification (for example, the labeling of images to enable their ‘recognition’), or on domains amenable to the generation of synthetic ‘data’ through simulation (for example, in the case of strategy games like Go). Progress in AI, in sum, has been tied to growth in the availability of large data sets and associated computational power, along with increasingly sophisticated algorithms within highly constrained domains of application. Intelligence is a system’s ability to determine the best course of action to achieve its goals. Autonomy is the freedom a system has in accomplishing its goals. Greater autonomy means more freedom, either in the form of undertaking more tasks, with less supervision, for longer periods in space and time, or in more complex environments … Intelligence is related to autonomy in that more intelligent systems are capable of deciding the best course of action for more difficult tasks in more complex environments. This means that more intelligent systems could be granted more autonomy and would be capable of successfully accomplishing their goals (p. 5, original emphasis). The logical leap exemplified in this passage’s closing sentence is at the crux of the debate regarding lethal autonomous weapon systems. The authors of the primer concede that “all AI systems in existence today fall under the broad category of “narrow AI”. This means that their intelligence is limited to a single task or domain of knowledge” (p. 5). They acknowledge as well that “many advance [sic] AI and machine learning methods suffer from problems of predictability, explainability, verifiability, and reliability” (p. 8). These are precisely the concerns that have been consistently voiced, over the past five meetings of the CCW, by those states and civil society organizations calling for a ban on autonomous weapon systems. And yet the primer takes us back, once again, to a starting point premised on general claims for the field of AI’s “rapid advance,” rather than careful articulation of its limits. Is it not the latter that are most relevant to the questions that the GGE is convened to consider? The UNIDIR primer comes at the same time that the United States has issued a new position paper in advance of the CCW titled ‘Humanitarian benefits of emerging technologies in the area of lethal autonomous weapon systems’ (CCW/GGE.1/2018/WP.4). While the US has taken a cautionary position in relation to lethal autonomous weapon systems in past meetings, asserting the efficacy of already-existing weapons reviews to address the concerns raised by other member states and civil society groups, it now appears to be moving in the direction of active promotion of LAWS on the grounds of promised increases in precision and greater accuracy of targeting, with associated limits on unintended civilian casualties – promises that have been extensively critiqued at previous CCW meetings. 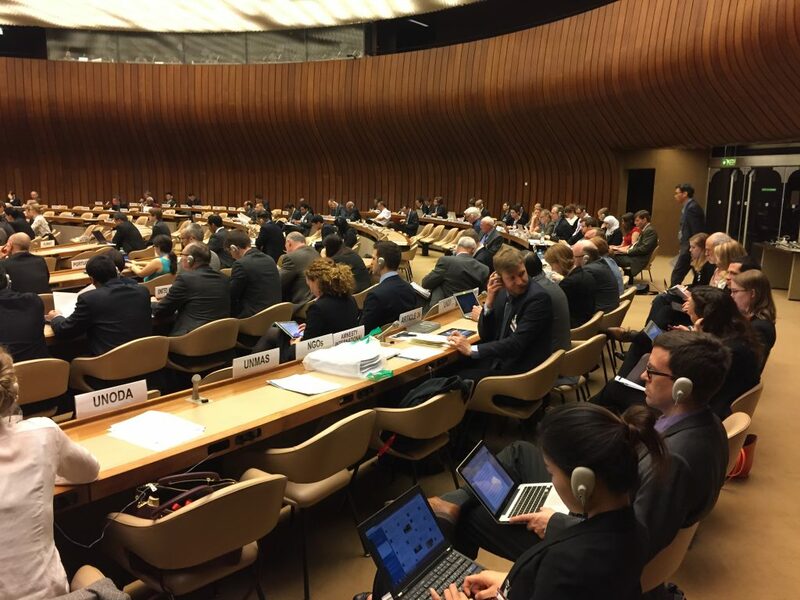 Taken together, the UNIDIR primer and the US working paper suggest that, rather than moving forward from the debates of the past five years, the 2018 meetings of the CCW will require renewed efforts to articulate the limits of AI, and their relevance to the CCW’s charter to enact Prohibitions or Restrictions on the Use of Certain Conventional Weapons Which May Be Deemed to Be Excessively Injurious or to Have Indiscriminate Effects. Still unsafe at any speed?